Two men have been arrested after starting a bloody brawl in a McDonald’s restaurant in Sydney, Australia. An innocent woman got caught in the crossfire and got brutally punched in the face by Pawan Threstha. The woman’s partner then retaliates and the fight continues, despite the staff’s attempts to break it up. 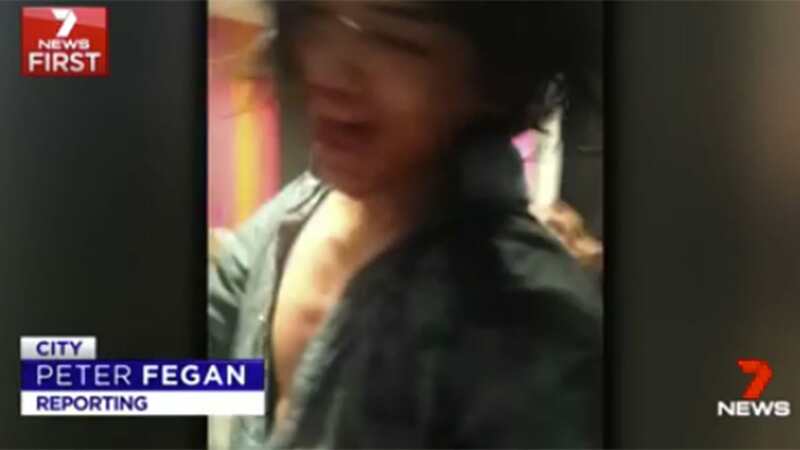 Pawan Threstha, 19, and Norbu Sherpa, 20, were both charged with assault for their alleged roles in the horrific fight at the fast food store on George Street in central Sydney. The horrific footage shows the moment that Threstha, covered in blood, lunges and allegedly punches a woman. The unprovoked brawl, started by the two men from Nepal, took place at about 3.30am on Saturday. Threstha was charged with assault occasioning actual bodily harm, a sentence that carries a maximum punishment of five years, and common assault, while Sherpa was charged with assault. The pair of tourists were given conditional bail and will appear before Downing Centre Local Court on February 15.